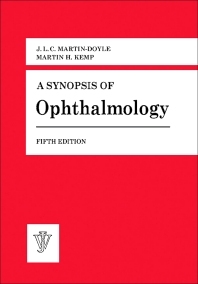 A Synopsis of Ophthalmology, Fifth Edition focuses on the advancements and processes in ophthalmology, including the use of microscopes and electronic gadgets on ophthalmic operations and the personal and social aspects of blindness. The book first offers information on the routine examination of an ophthalmic patient and the diseases of the conjunctiva and the cornea. Discussions focus on wounds and burns of the cornea, infiltrations, tumors of the conjunctiva, conjunctival sarcoid, syphilis of the conjunctiva, acute conjunctivitis, and anatomy and physiology of the normal conjunctiva. The book also ponders on the diseases of the uveal tract and the retina. The publication takes a look at the diseases of the sclera, optic nerve, and lens. Topics include cataract, congenital abnormalities of the lens, optic atrophy, injuries of the optic nerve, episcleritis, scleral staphyloma, and blue sclerotics. The text also elaborates on the diseases of the orbit, eyelids, glaucoma, and intraocular neoplasms. The manuscript is a dependable reference for readers interested in ophthalmology.